Update: Sabq has removed the photograph without adding any statements regarding the issue. They also censored all comments about the stolen photograph. From now on I will call Sabq (سبق) “Sarq” (سرق) as in “theft”. In a news post ironically about theft, Sabq has included an image taken from Yousef Raffah without his permission. 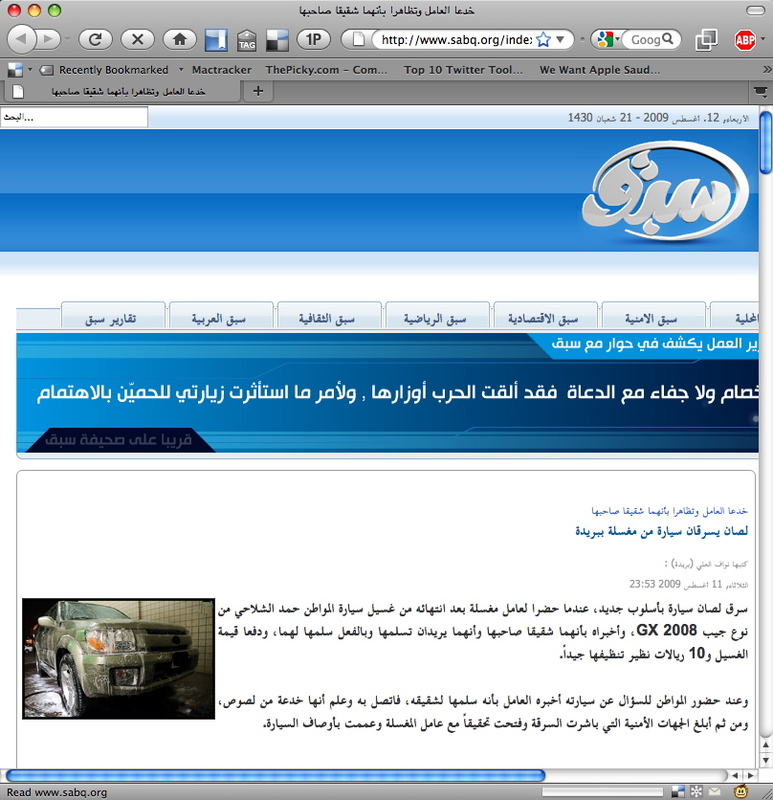 Sabq is an electronic newspaper in Arabic. They should respect intellectual properties and credit the photographer instead of stealing it like that. Mobily’s site runs on outdated Apache for Windows?